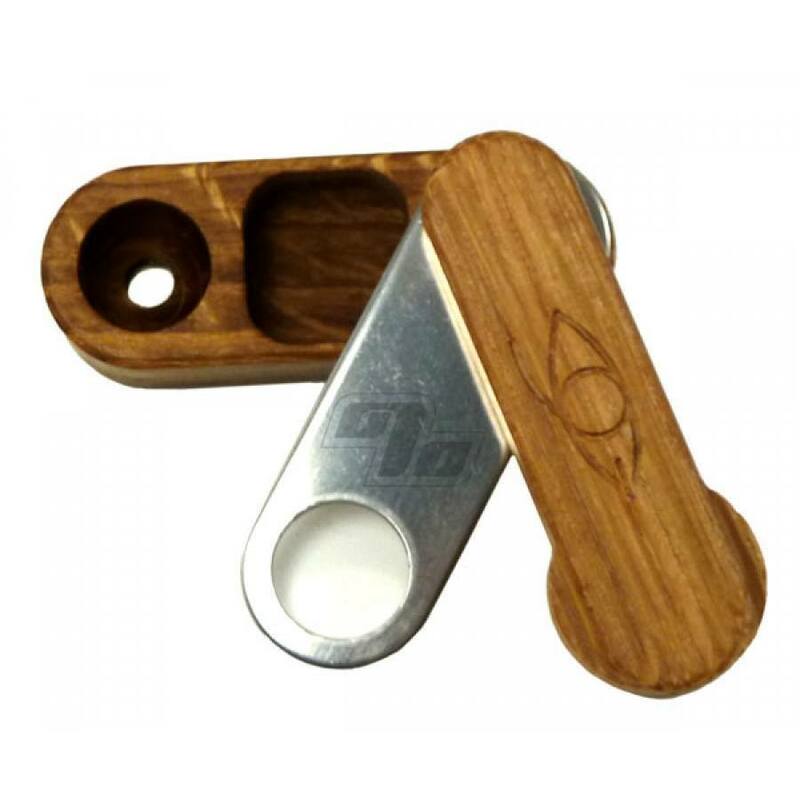 The Fisherman's Friend from Monkey Pipe, is an elegant and functional American made pocket pipe. 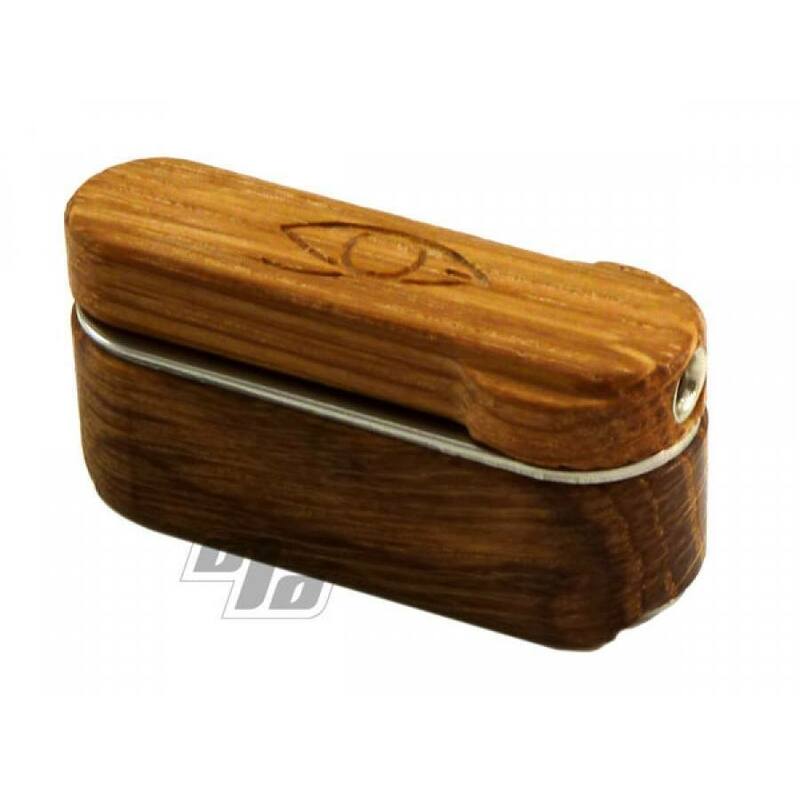 Similar to the Original Monkey Pipe, this compact wood pipe adds an ample storage compartment to the pipe body. The Fisherman’s Friend pipe boasts a polished stainless steel middle that twists open to reveal that storage compartment. Matching stainless steel bottom that easily slides in and out for no hassle cleaning. 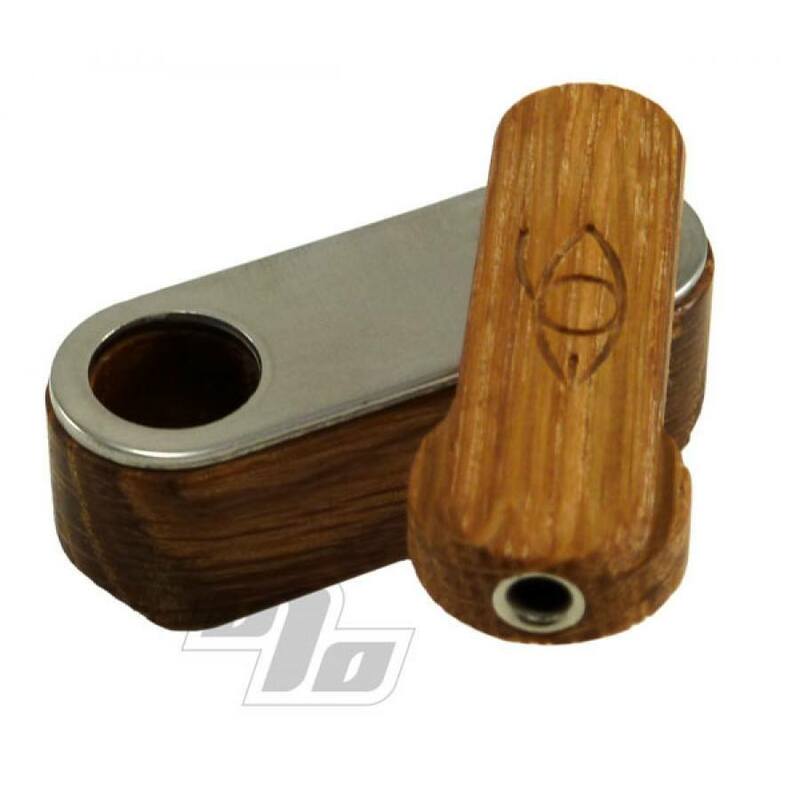 As with many cool American pipe designs, watch out for cheap Chinese knock offs; most don't have stainless trays, use cheap woods and/or are finished with toxic chemicals. Not worth it when you can get the real deal from Oregon. Lasted forever, until alas, twas crushed by the foot of destruction. It did survive getting ran over by a car prior though! Easy to use, fill and smoke......cleanable if u choose. excellent pipe, excellent service, excellent website! very satisfied! I have been carrying one of these in my pocket almost daily for at least the last decade. I've tried other pocket pipes, but this thing is by far the best. With regular cleanings, they'll last years. I have gone through a few and have given many to friends, most of whom still carry them. You can;t go wrong with this one! I've been taking the Fisherman's Friend with me in my carry-on between the US, South America, and Europe for nearly 5 years. Together with keys and other random small items, it looks like nothing. Most commonly mistaken for a lighter or a makeup item, but usually it just goes completely unnoticed. It's smaller than a Bic lighter. The stash has enough room in it for 2 hits, so with a 3rd hit in the bowl you're good for a pretty long journey. Downsides: It smokes hot, can burn your tongue if you get too keen on it. Cleaning it can be super messy, sticky fingers are unavoidable. I love this pipe, I always get 2 or 3 of them so I can give them to my friends, because everybody always wants one after they see mine! 5 stars! Mine was stolen and couldn't find a new one. I was so happy when I remembered the name and found it here. It is a great pocket pipe. I always have it when I'm out and about.